Mike Spicer has an extensive background in law enforcement, emergency preparedness and security management. During his 30 year law enforcement career, Spicer was assigned to the California Highway Patrol’s (CHP) prestigious Protective Services Division and the Kings County Narcotics Task Force, where he participated in undercover operations, investigations, drug influence instruction and evaluations. In addition to his CHP career, Spicer served 37 years of combined service with the US Marines, Navy and Coast Guard, retiring as a Chief Warrant Officer. 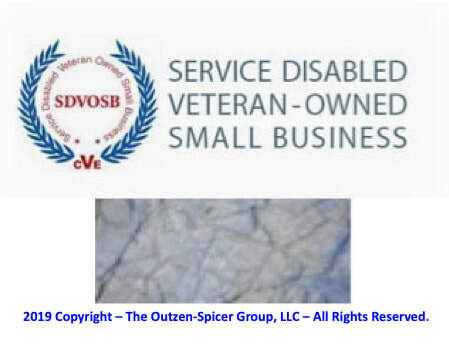 During his time with the Coast Guard, Spicer served as a federal agent with the Coast Guard Investigative Service, where he conducted investigations and managed high profile protective service details involving international and U.S. governmental officials. He was one of the first “Sea Marshals” placed on active duty immediately following the 9/11 attacks on the homeland. In March 2003, Spicer was assigned top a joint FBI-Coast Guard task force with the newly formed Department of Homeland Security. In 1991, Spicer served with the Coast Guard in Saudi Arabia during Operation Desert Storm. Spicer has conducted security risk assessments in California, New York and Maryland and has provided emergency preparedness exercises in Missouri, Maryland and California. ​Spicer has served as the head of security at hospitals and clinics for Kaiser Permanente, Sutter Health and Adventist Health. 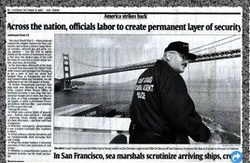 He is an active member of the ASIS Healthcare Security Council and volunteer with the California Highway Patrol.